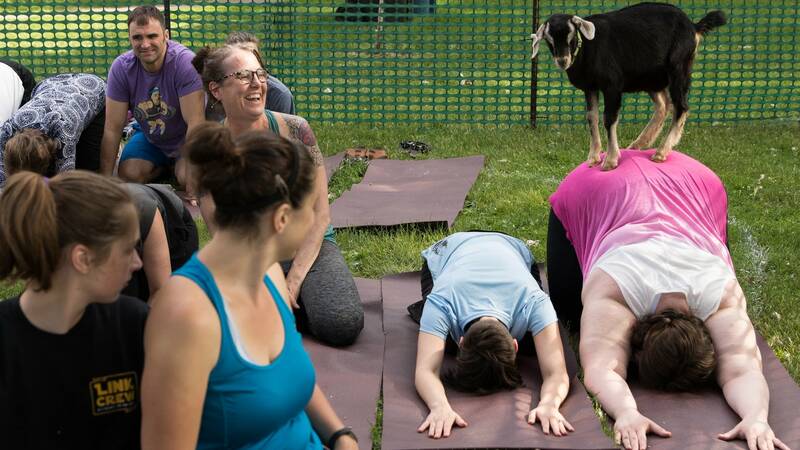 Amid all the participants and poses at a yoga session in Minneapolis' Powderhorn Park on Friday evening, there was a lot of kidding around. 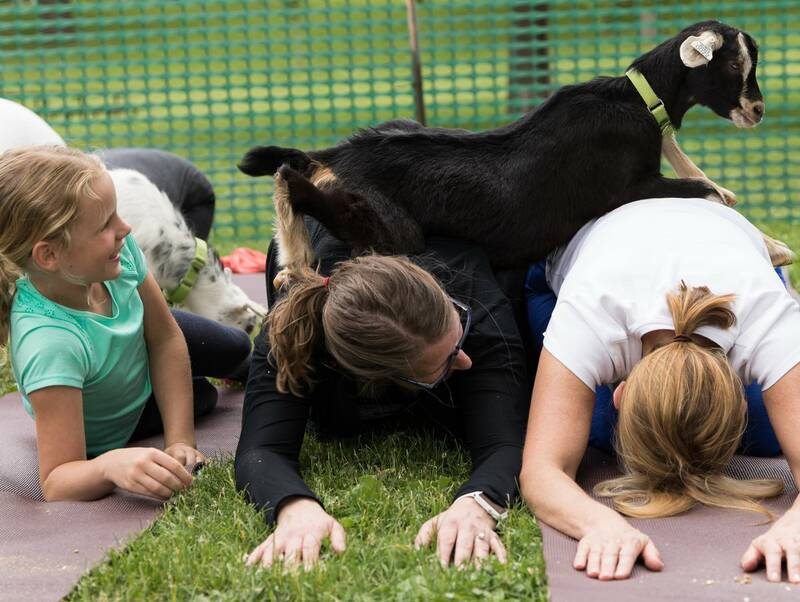 "Yoga is relaxing as is, and to kind of play with, bond and connect with an animal is a lot like animal therapy," said Jessica Lubich of goat yoga studio Have Ya Herd, which provided the animals for the sessions. "They go well together." Have Ya Herd, based east of the Twin Cities near River Falls, Wis., provided four 30-minute sessions for people of all ages during the Minneapolis Parks Foundation's Get Outdoors Day event. 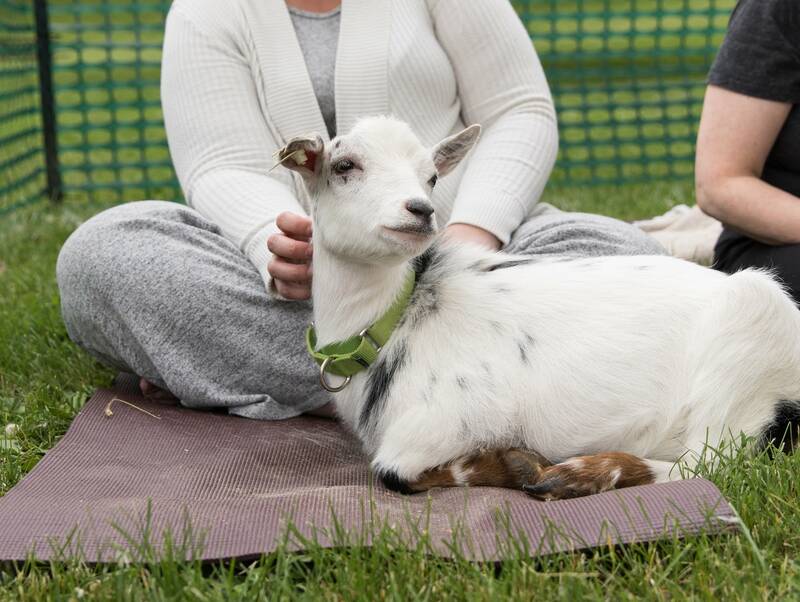 While some cited checking an item off their bucket list for their attendance, Jeanne Minnick came for her sheer love of goats. 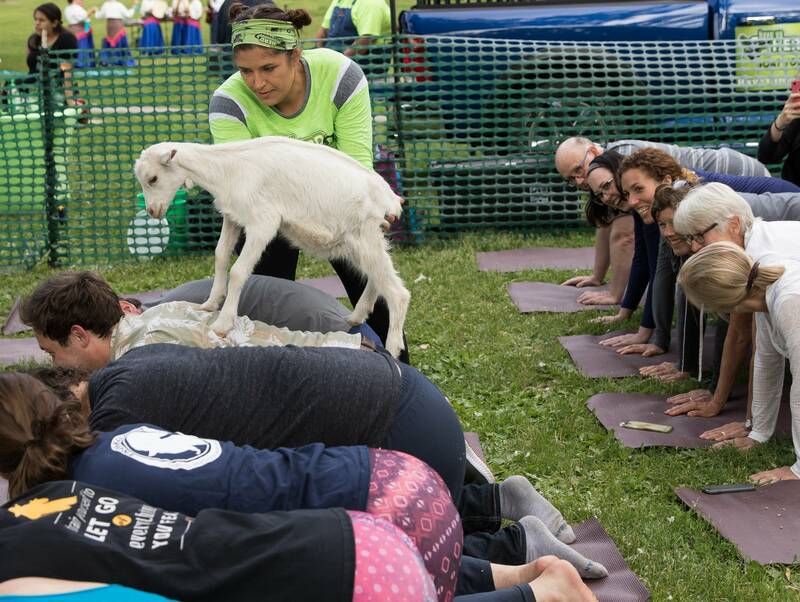 "You do yoga, although you do what you can with the goats around, and they climb on you if you're lucky," Minnick said. "And then you hug them in between poses." Lubich and her husband Kevin founded Have Ya Herd last fall after an unsuccessful attempt at raising dairy goats. 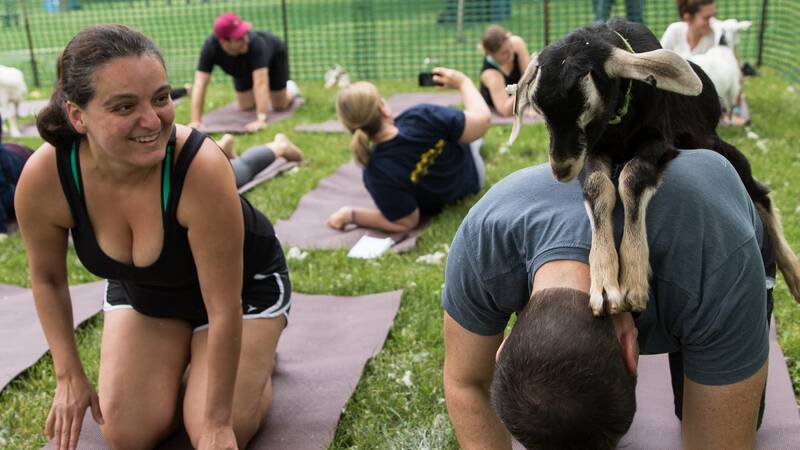 With an idea from Kevin Lubich's father, the family decided to try goat yoga. 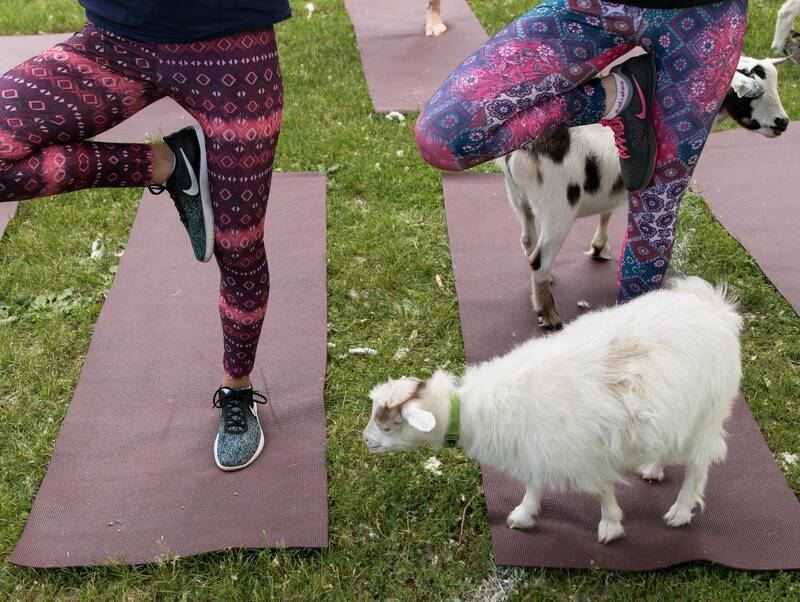 They sold 100 of their 120 goats — keeping 20 for their new business — and got to work. The Lubichs aim to continue expanding their audience using events like the class on Friday. 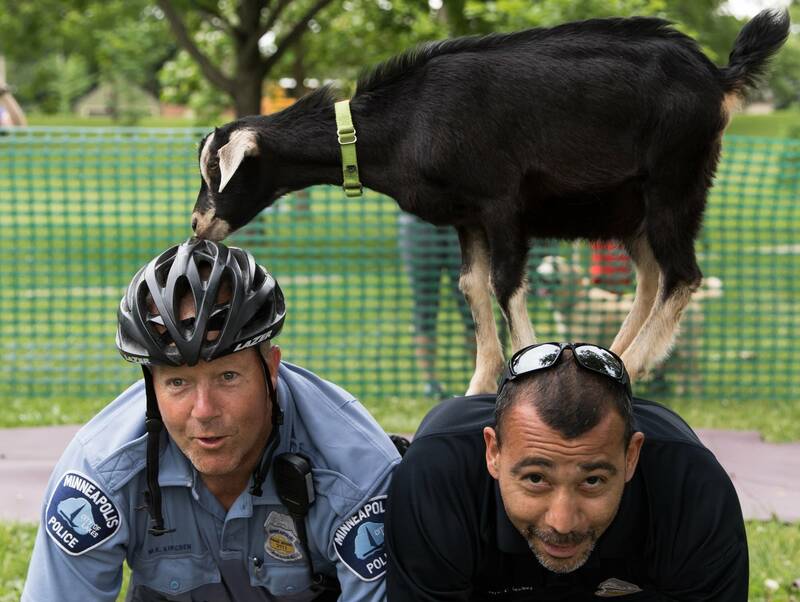 Jessica Lubich said they hope to one day bring their goats to the Minnesota State Fair or into airport terminals.